Kellogg Community College’s first YES-KCC community garden Spring into the Garden events of the season run from 1 to 4 p.m. today and 9 a.m. to noon tomorrow, Friday, May 8, in the College’s community garden. All KCC students and staff are welcome to stop by today to help plant flowers, vegetables and fruit in the garden, which is located outside behind the library at the top of the hill overlooking Spring Lake on the College’s North Avenue campus in Battle Creek. Volunteers can get to the garden through the double doors at the end of the hall on the main level of the Ohm Information Technology Center or through the door on the east side of the central walkway between the library and financial aid office. Volunteers serving in the garden on Friday will help finish planting any leftover plants from Thursday’s event. KCC’s community garden is officially named the YES-KCC community garden because it was started with the help of a Youth Exchange & Study Program student, with operations facilitated by the College’s Service-Learning area. In addition to serving in the garden, anyone is welcome to donate plants for planting. The Service-Learning area also welcomes garden donations with a dedication to something or someone and heritage-based plants; donations last year included Burmese peppers. All produce is donated to local nonprofits like Haven of Rest Ministries and the SHARE Center in Battle Creek. Children are welcome to serve with their parents, so if you have kids bring them along! The YES-KCC community garden will be operating throughout the year thanks to a new and recently installed greenhouse. Service-Learning staff are always looking for volunteers to work in the garden, which is a great opportunity for students looking to complete their service-learning requirements for graduation. For more information or to ask about volunteering this year, contact the College’s Service-Learning area at servicelearning@kellogg.edu or at 269-965-3931 ext. 2618. 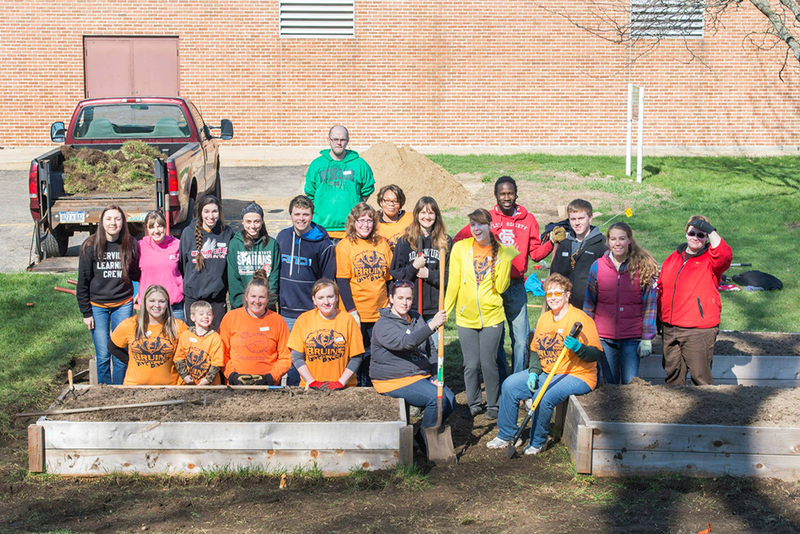 For more information about service-learning at KCC, visit www.kellogg.edu/service-learning.